Dell EMC has recently announced the results of the third Global Data Protection Index which revealed an alarming growth rate of data of 569% and an impressive jump in data protection “adopters” of nearly 50% points. The number of businesses unable to recover data after an incident nearly doubled from 2016, according to the Global Data Protection Index which surveyed 2,200 IT decision makers from 18 countries and 11 industries. The Index specifically provides a comprehensive understanding of the state of data protection and the maturity of data protection strategies and uncovered an increase in the average amount of data managed from 1.45 petabytes (PB) in 2016 to 9.70PB in 2018 and a high awareness of the value of data. The survey revealed that globally, 92% of businesses see the potential value of data, with 36% already monetizing it. 76% experienced a disruption in the last 12 months, and 27% experienced irreparable data loss, nearly double the 14% in 2016. More than a third of respondents are very confident that their data protection infrastructure is compliant with existing regulations, but only 16% believe their data protection solutions will meet all future challenges. Nearly half 45% of those surveyed are struggling to find suitable data protection solutions for newer technologies like artificial intelligence and machine learning remains the highlights of the survey. The sheer volume of data and its importance to business operations make data protection that much more challenging. Disruption incidents are occurring frequently, but more alarming is the increasing amount of irreversible data loss. More than three-quarters 76% of respondents globally experienced some type of disruption within a 12-month period, and 27% were unable to recover data using their existing data protection solution – nearly double the amount 14% in 2016. Coincidently, 76% of respondents worldwide are also using at least two data protection vendors, which makes them 35% more likely to experience some type of disruption during the same 12-month period, compared to those with a single vendor. Not only does the amount of data lost increase the price, but so does the value of data itself. It’s clear that organizations recognize this as 81% said they take data protection more seriously for categories of data that have the greatest monetary value. 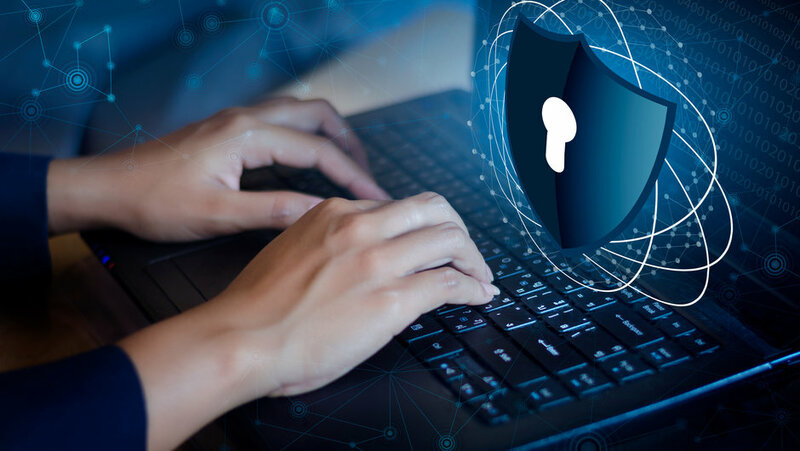 While those classified as data protection “adopters” sprang forward by nearly 50%points (from 9% in 2016 to 57 % in 2018) and “leaders” increased 10% points (from 2% in 2016 to 12% in 2018), most businesses are struggling to implement a solution that adequately suits their needs. The majority (95%) of respondents face at least one challenge in relation to data protection. For those who are struggling to find adequate data protection solutions for newer technologies, more than half (51%) said they could not find suitable data protection solutions for artificial intelligence and machine learning data, followed by cloud-native applications (47%) and IoT (40%). The challenges presented by emerging technologies and the rapid growth of data are just beginning to take shape. As such, only 16% believe their current data protection solutions will be able to meet all future business challenges. Backup/snapshot services to protect workloads developed in public cloud using new application architectures (41%). Backup of on-premises workloads/data (41%). Protecting specific SaaS apps (40%). Cloud-enabled versions of on-premises data protection software to protect public cloud workloads (40%). Backup/snapshot services to protect workloads developed in public cloud using legacy application architectures (38% percent). When considering data protection solutions in a public cloud environment, the growing data universe plays an especially critical role as indicated by 64% of respondents who named scalability options as important. Specifically, 41% cited the impact of data protection infrastructure or services required to protect at scale, while 40% cited the ability to scale services as public cloud workloads increase. Data privacy regulations like the European Union’s General Data Protection Regulation (GDPR) are relatively new, and the true impact on the data industry has yet to be realized. However, it has quickly become a focal point as regulation compliance was ranked in the top three data protection challenges by 41% of respondents. Moreover, only 35% felt very confident that their organization’s current data protection infrastructure and processes are compliant with regional regulations. That sentiment is beginning to translate into reality as 12% of respondents whose organization experienced data loss or unplanned downtime in the past 12 months reported paying punitive fines as a result. “Emerging technologies such as AI and IoT are frequently the focus of an organization’s digital transformation, but the data those technologies generate is absolutely key in their transformation journey,” said Beth Phalen, president and general manager, Dell EMC Data Protection Division. “The nearly 50% growth of data protection adopters and fact that the majority of business now recognize the value of data proves that we are on a positive path to protecting and harnessing the data that drives human progress.